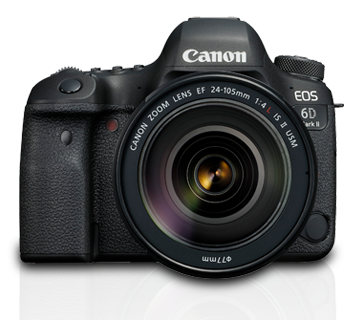 EOS 6D Mark II Kit | EF24-105mm f-4L IS II USM. 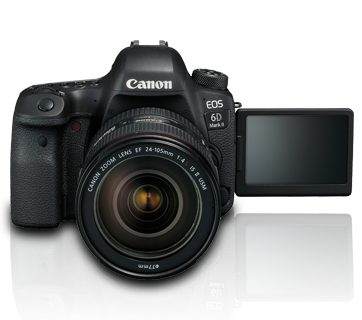 Posed as the lightest DSLR in the EOS full-frame DSLR line-up, the EOS 6D Mark II, a powerful yet compact full-frame DSLR camera promises to propel your images to the next level. 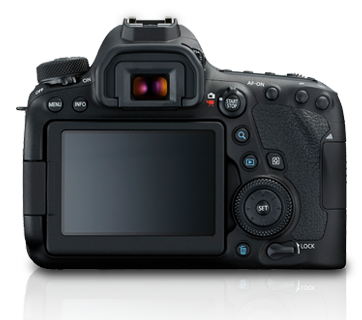 Its 26.2-megapixel image sensor, Dual Pixel CMOS AF, and a Vari-angle touch panel LCD monitor empower you with the ability to take stunning images and videos, with fast, touchscreen-operable AF and from different angles. Movie digital IS, a 5-axis image stabilization system, is built within the camera for suppressing camera shake when shooting handheld movies — a useful feature especially when recording in quality as high as Full HD 60p / 50p.